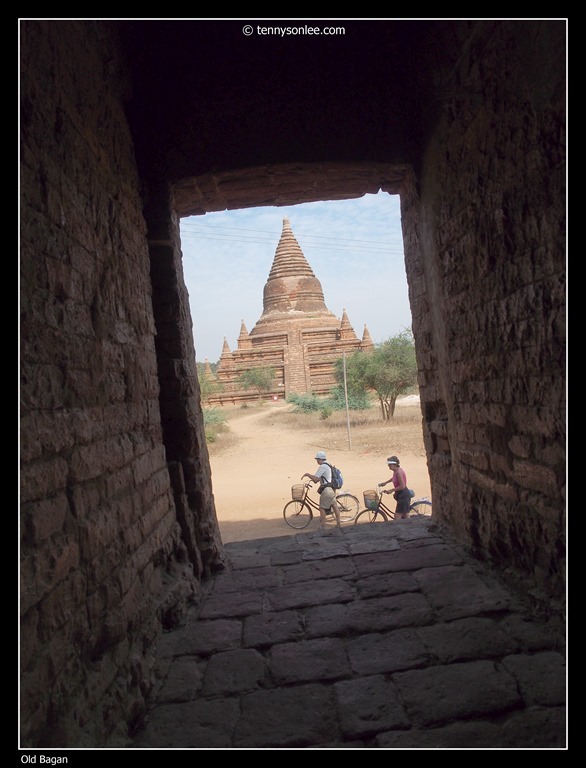 Old Bagan has many temples within the city wall. Tourists could literally walk from one temple to another. Viewed from interior of Pahtothamya Temple (name to be confirmed). 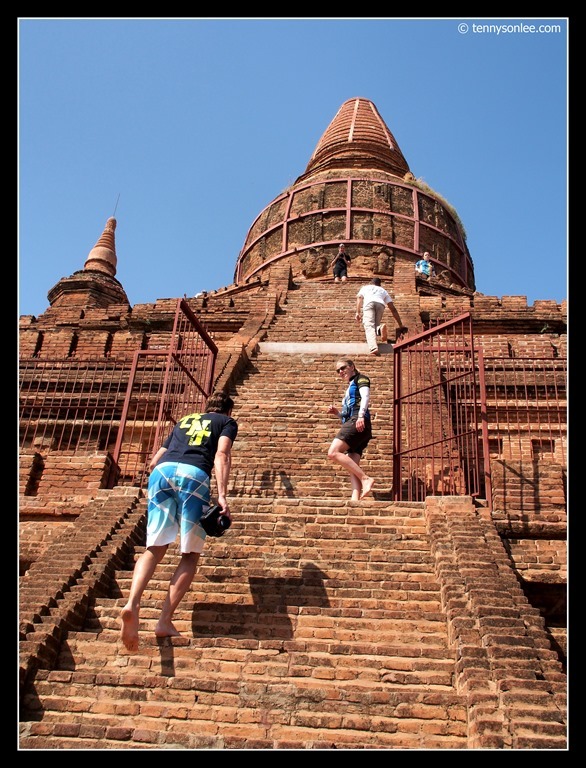 We also climbed up this unknown stupa to have a panorama view of Old Bagan. 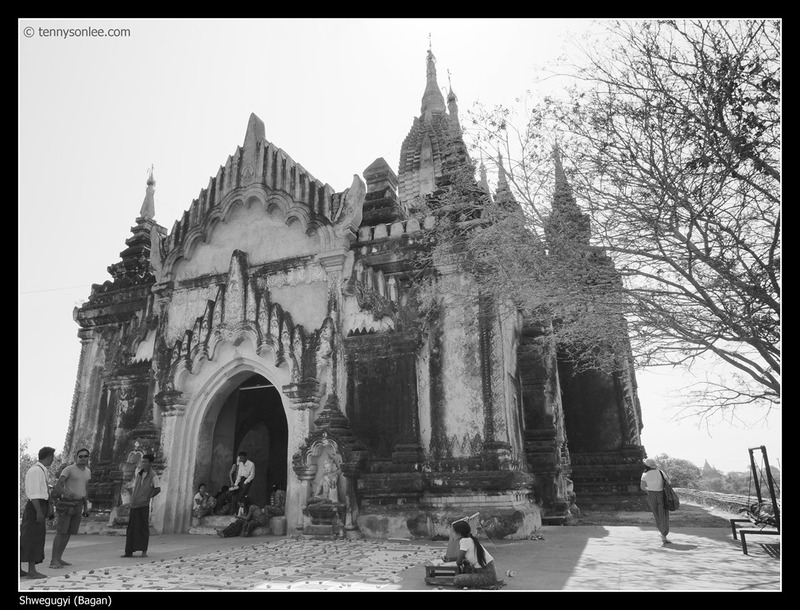 Next to the temple is old of the oldest Pagoda in Bagan, Ngakywenadaung Pagoda. 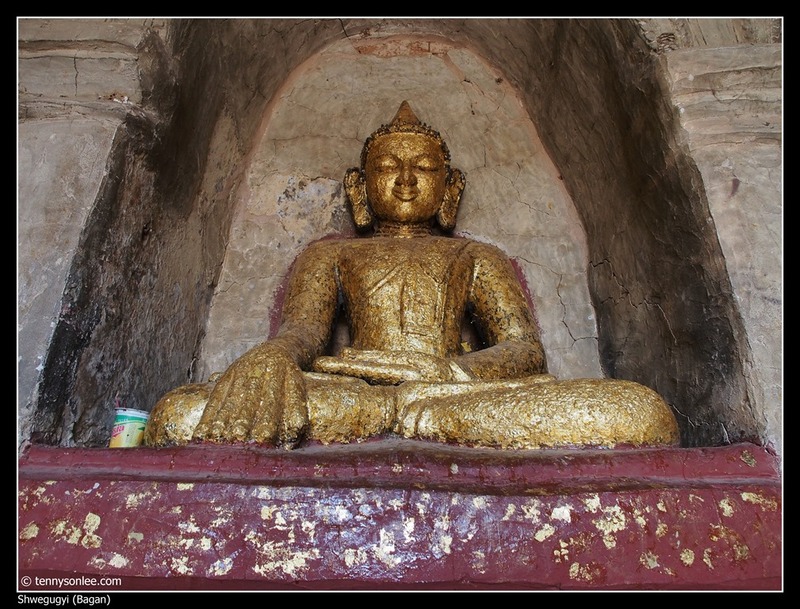 The architecture was labelled as ‘Type I’ from the Sri Keshtra era (10th century). 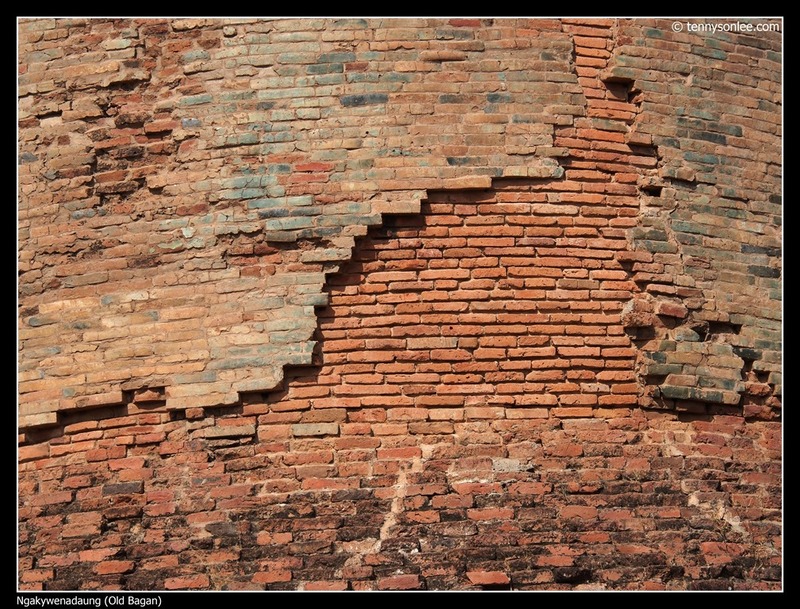 The cylindrical doom was covered with glaze tiles, measured at 13 meters. 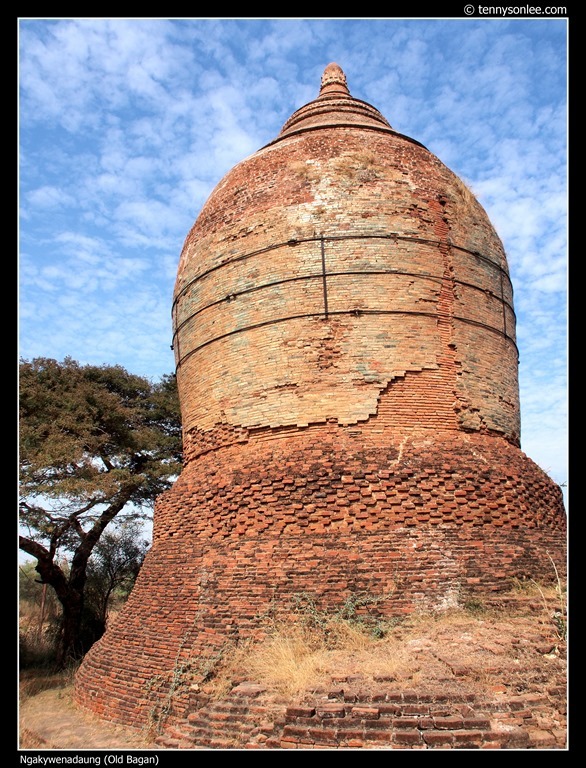 One minute walk from ‘the earing of Ngakywe’ was the Thatbyinhyu Temple. 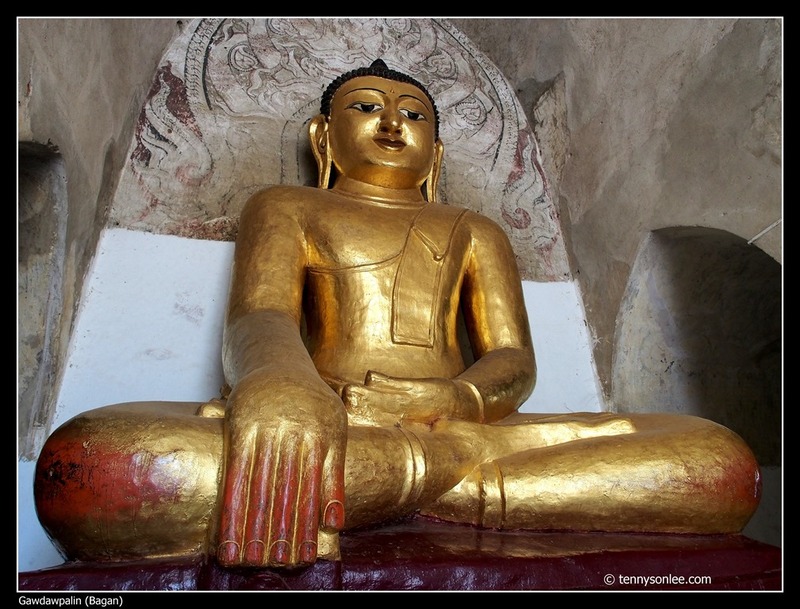 The name means ‘Omniscience of the Buddha’, which was a Type II architecture. It was amazing to see such a tall double-storey building (201 feet) built almost a thousand years ago. It was cooling to walk inside the temple. 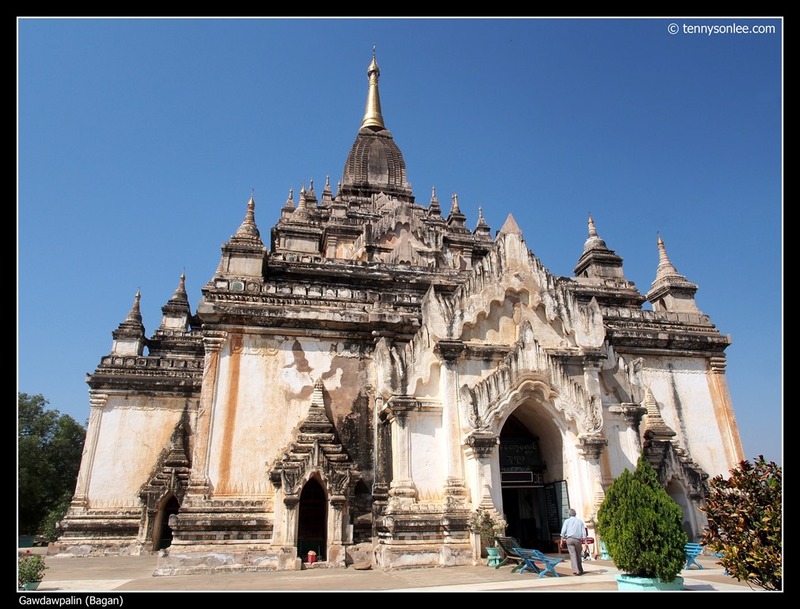 Gawdawpalin Temple nearby was a Type III temple (180 feet, 11 century). 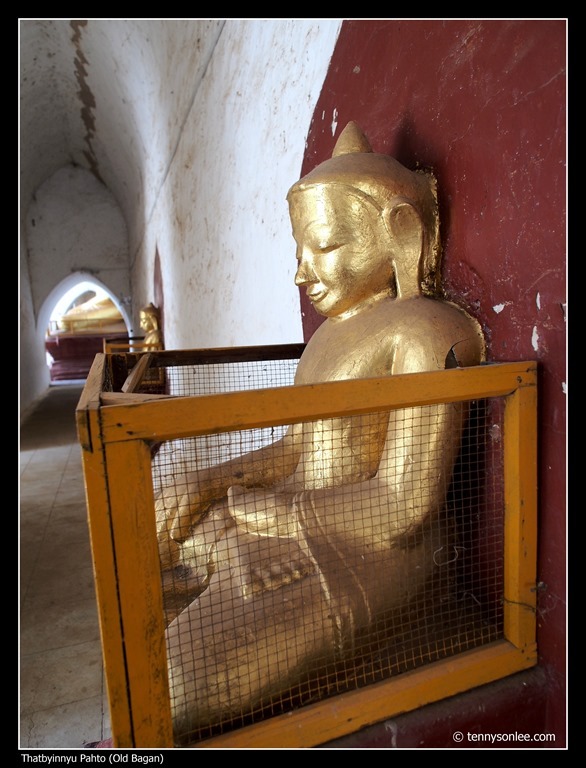 There were few gilded Buddha statues inside the temple. 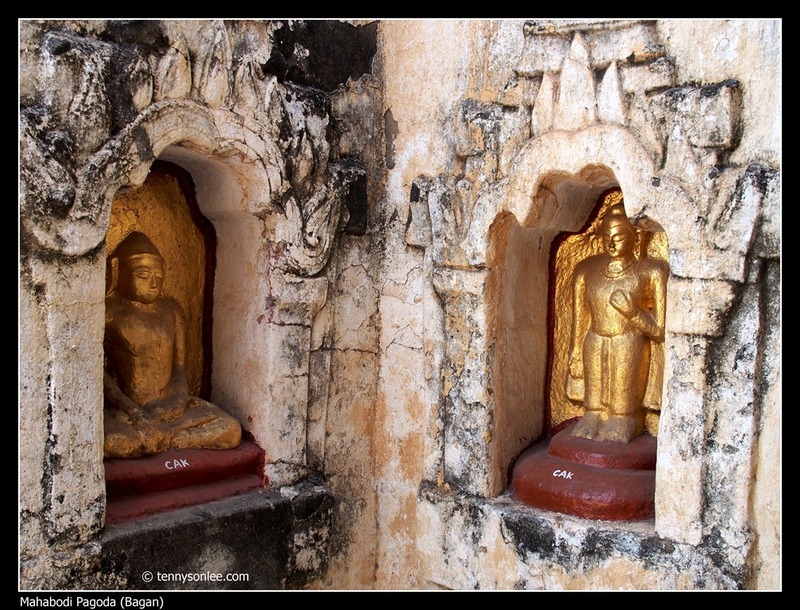 Do you notice the different Buddha expressions? I am not an expert but just curious what does all the different clothing, posture, gesture meant. Touching the earth is symbolic to the letting go of desires and egos. We also visited Mahabodi Pagoda. 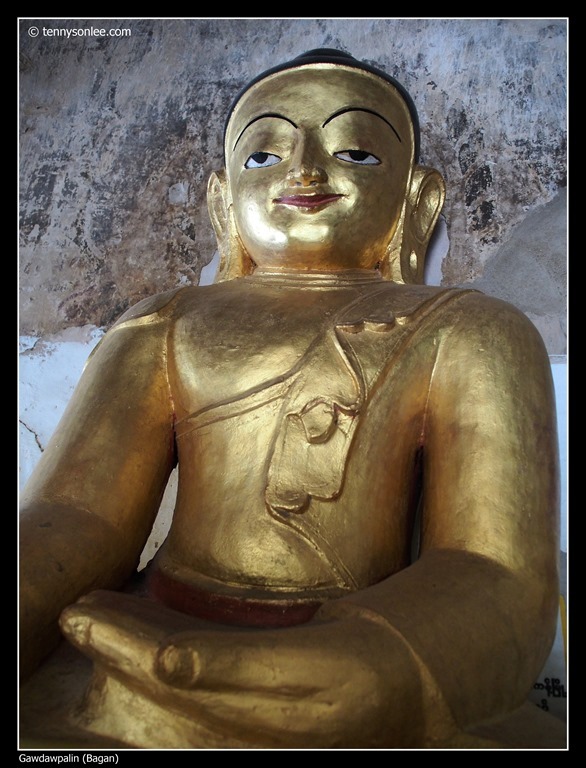 The building was modeled from the renowed Mahabodhi Temple in India, where Buddha attained enlightenment. 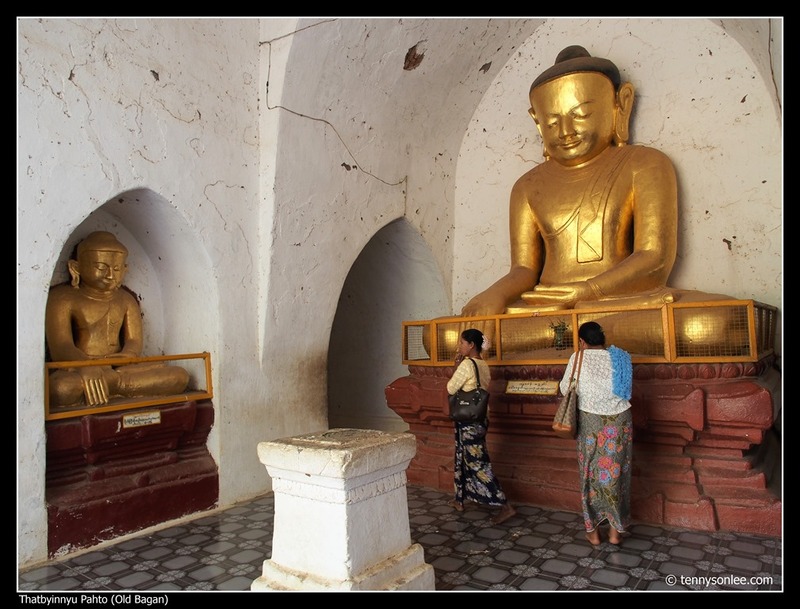 We did not count if there was really thousand sitting Buddha statues in this temple, but you could see the entire pagoda and surrounding have enclosed sitting Buddha images in niches. 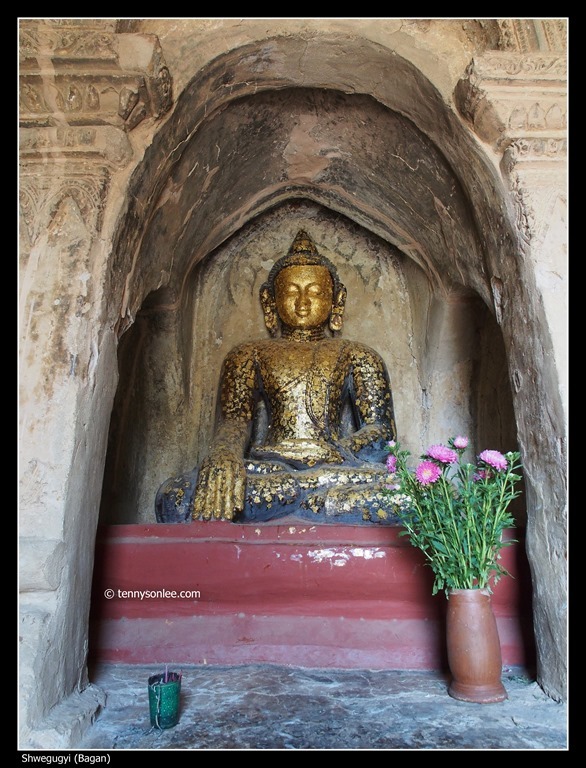 It was interesting to walk around to see the many small Buddha status surrounding the building. On our way to Ananda, we stopped by Shwegugyi. 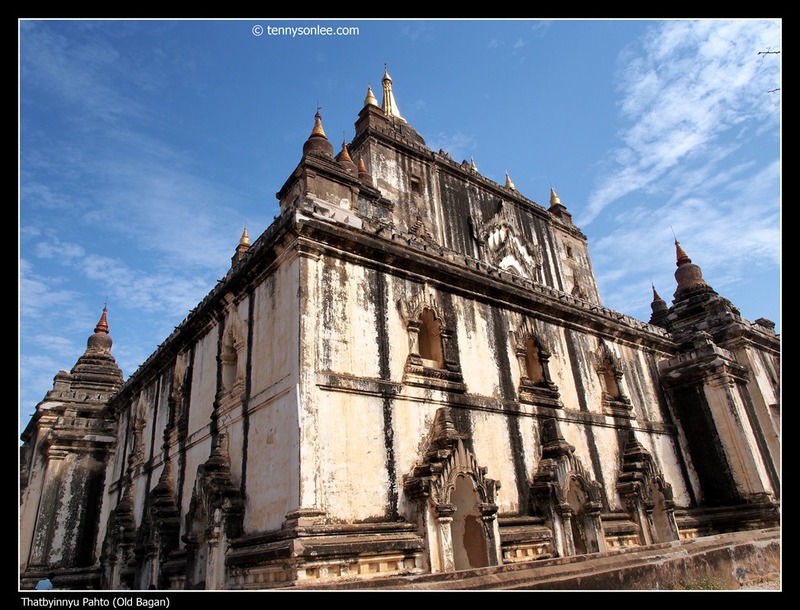 The temple was build on a rock, over looking the Royal Palace. 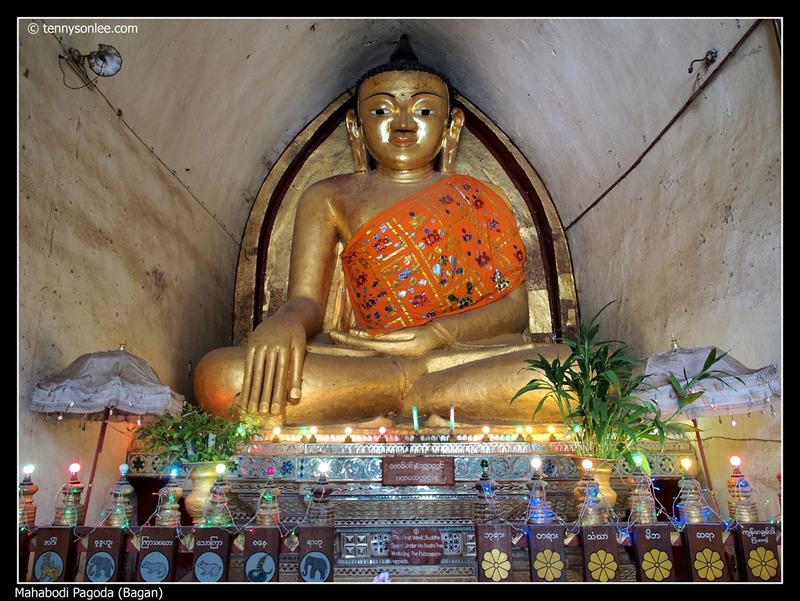 The Buddha images have gold foils adhere to the statue by the devotees. you could see the ancient wooded doors inside the temple. This entry was posted on February 14, 2013 by Tennyson. 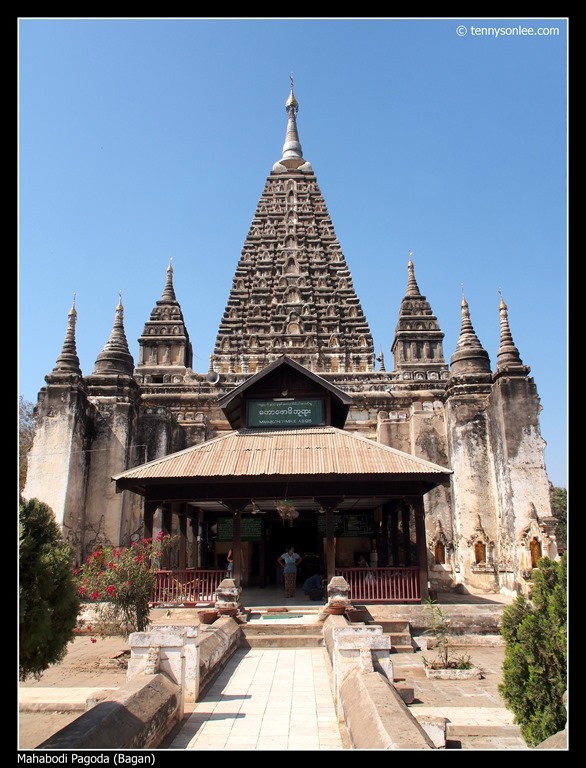 It was filed under Architecture, Bagan, Culture and Religion, Myanmar and was tagged with Gawdawpalin Temple, Mahabodi Pagoda, Ngakywenadaung Pagoda, Pahtothamya Temple, Shwegugyi Temple, Thatbyinhyu Temple.